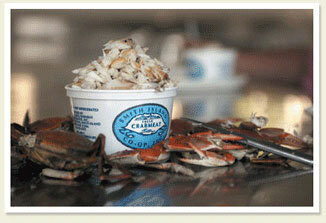 We supply fresh crabmeat, crabcakes, crab salad, etc. 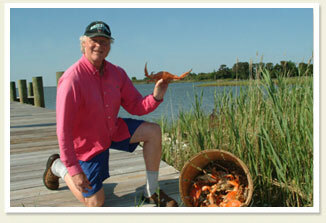 We also allow guests to come in and see how we pick the crabs. Gift shop. Feel free to come in and watch the picking through observation window, or for $3 per person, come into the picking area, ask questions and also get a sample of crabmeat. Open June through November, 8-10 AM and 5-7:30 PM. Please call 410-968-1344 to place orders. To be sure to get what you are looking for, best to order in advance. Fresh crabmeat often available by the pound for drop-ins. 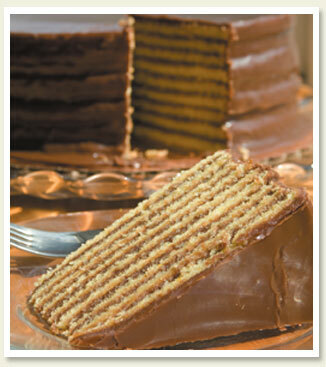 Smith Island Layer Cakes: I will mail cakes anywhere or ship by boat to be picked up at the Crisfield City Dock. Crab Cakes: I make very large crab cakes and will ship anywhere. These crab cakes are pure blue crab meat picked by local ladies of our island. Cooking Demonstrations: I will show how to make a traditional island layer cake in my home (minimum of at least 5 people). Place orders or make appointments one week in advance. Soft Shell Crabs in season. Oysters in season, available shucked or as is in shells. Smith Island Layer Cakes. Crab Cakes in season. Hot Crab Dip. Crabmeat in season. Smith Island Cakes $25, all seafood will vary with market price. Local Mom & Pop store with the best crab cakes in the land. Grocery store, sub shop and convenience store. Closed Sunday but will open for emergencies or large groups. Check with market for winter hours. Hard Crabs– Steamed and seasoned as ordered. Soft Shell Crabs alive or frozen. Shucked oysters. Market price. In season and by order. For quantities of more than a few dozen, 24-hour notice please. Open 7 days from 3pm til dark. Carryout food and a variety of hand dipped ice cream, shakes, sundaes, floats and more. Take home a Smith Island cake. We sell slices and whole cakes.